We are featured creators in "Comic City, USA,"
"From Geek to Chic: The Comic Book Revolution,"
"Graphic Novels From The Inside Out"
We'll be set up at the Oregon State Fair's "Authors Day"
MonkeyBrain Comics is digitally reissuing the entire 1989-2005 run of our Heartbreakers science fiction comics! Find them on ComiXology. Reviews call Heartbreakers "a joy to read" and "as relevant now as it has ever been... a must for anyone looking for some smart, dystopian sci-fi." all issues of Paul's co-creation, CHRONOS. We continue to teach workshops at art festivals, schools, and libraries. Check out Anina's essay on and resources for writing comics. We have been visited times since 1998. This site contains more than 500 pages of content! According to official web stats, this site receives around THREE THOUSAND VISITORS every single day. On occasion, more than 30,000 people have hit our site daily--YOW! 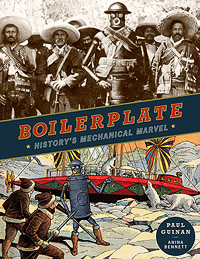 Copyright 1998, 2014 Paul Guinan & Anina Bennett. 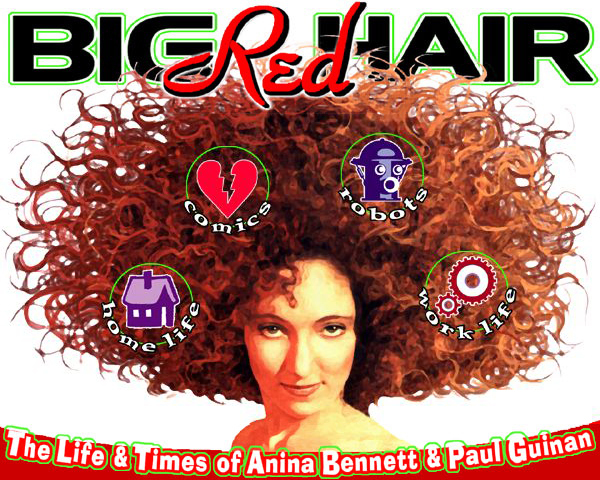 BIG RED HAIR is a trademark of Anina Bennett & Paul Guinan. 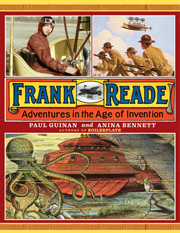 Heartbreakers and all related characters, marks, and indicia are trademarks of Paul Guinan and Anina Bennett.